Directions. Cut parsnips lengthwise into 2-1/2x1/2-in. sticks. In a large resealable plastic bag, combine the oil, Parmesan cheese, salt, pepper and nutmeg.... Preheat oven to 425F. 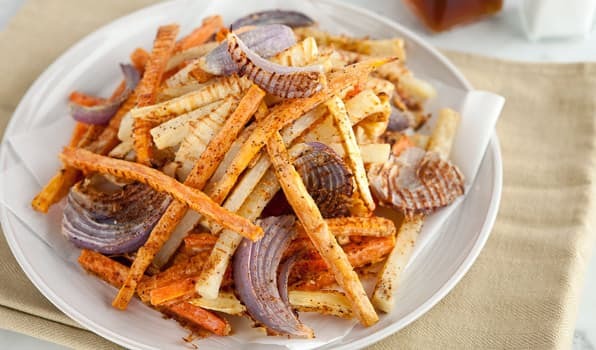 Cut the parsnips into 1/4-inch thick matchsticks. Place in a large mixing bowl and toss with 2 teaspoons olive oil, salt, and pepper. Preheat oven to 400�F. Line a baking sheet with parchment paper. 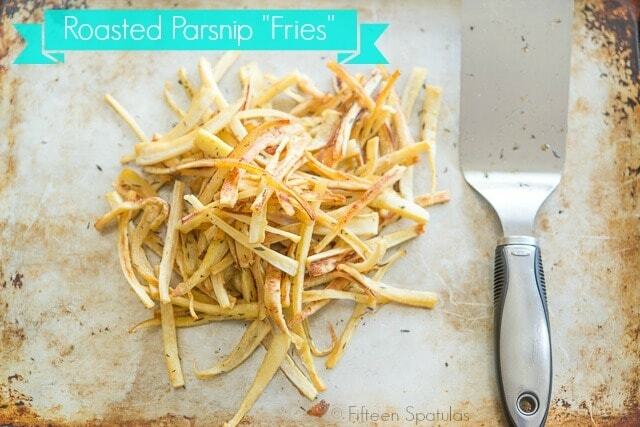 Cut parsnips into fries. In a medium size bowl, mix together butter, olive oil and salt.